Everything is bigger in Texas, and Houston leads that charge; big oil, big trucks and big barbecue flavors rule America’s fourth-largest city. 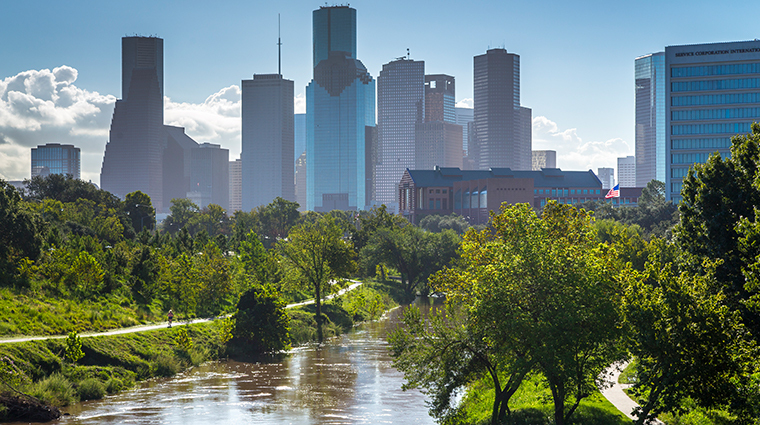 Houston sprawls further than most cities, so having a car is a must. You can’t miss the Fortune-500 skyscrapers in Houston’s downtown, but tucked within the glass-and-mortar forest, you’ll find fun; a lack of zoning restrictions makes for some interesting juxtapositions. Ride up to the 60th floor to the Chase Tower Observatory to peer down from Texas’ tallest building, then pop a few streets over to the Downtown Aquarium. Kids will love playing in bubbles and in other interactive exhibits at the Children’s Museum of Houston, and the Menil Collection houses one of the most-adored private collections of art in the world, with the likes of René Magritte populating its halls. Keep in mind that temperatures spike to triple digits in the summer, so virtually every building blasts air conditioning. If you can brave the elements, the city has a vibrant sports culture, with the Texans (NFL), Astros (MLB) and Rockets (NBA) hosting home games in Houston. But if you’re after a little more culture and arts, head over to Neartown, where the Montrose neighborhood gears things toward the LGBT and arts sects, with offbeat thrift shops, cafes and music venues, while Midtown fuses trendy sushi restaurant and loft apartments for an urban-chic vibe.